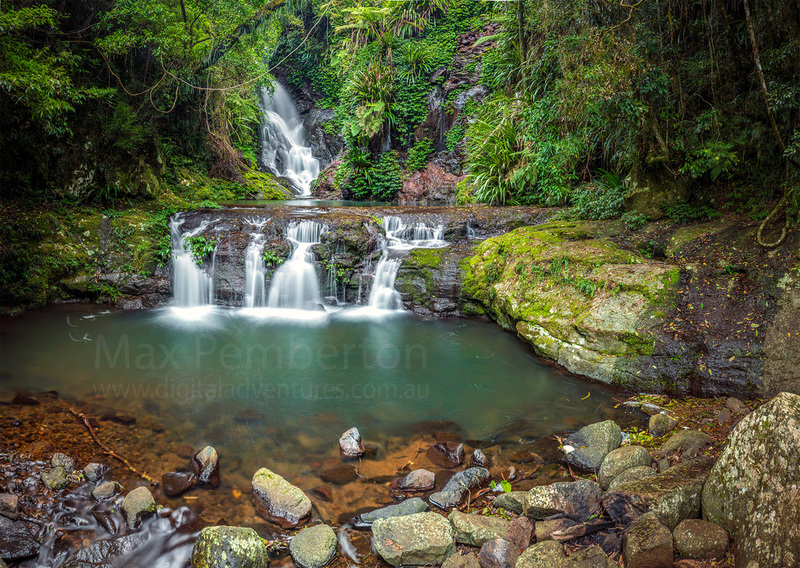 This beautiful set of falls is Elabana falls which is a cascade waterfall, located within Lamington National Park in the South East region of Queensland, Australia. Located right on the boarder of QLD and NSW this area is known for its natural beauty, rain forests, bird life, ancient trees, waterfalls, walking tracks and mountain views. This cascade is a relatively easy 40 minute walk from the car park down a well maintained track. the walk itself is spectacular with amazing trees and bird life. a short scramble and you are greeted with this amazing place.